VPSDime Review 2019: Is VPSDime a Good Hosting? If you’re looking for cheap but reliable VPS hosting, VPSDime may just be the right host for you. With great server performance and helpful support, they’re a crowd favorite for webmasters on a budget. VPSDime offers virtual private server hosting to a global customer base, though most of their customers come from the United Kingdom and United States. Their specialty is in offering VPS hosting with high memory and high storage at the cheapest rates possible. Their servers are based in six different locations – one in the Netherlands, another in the U.K., and four in the United States. VPSDime supports a variety of Linux Distros. These include OpenSUSE, CentOS, Debian, Ubuntu, ScientificLinux, and Fedora. You get full root access and can connect via SSH, which allows you to be in full control of your hosting account at all times. Your account comes with a SolusVM control panel where you can manage all the functions of your VPS with ease, right from the client area. Their infrastructure is quite modern and includes full SSD storage, which will be helpful in running data-intensive applications and high-traffic websites smoothly. Their 10Gbps network helps avoid processing bottlenecks as well. This is a plus point with VPSDime, since many VPS providers only offer 10Mbps or 1Gbps networks. Their servers are virtualized with OpenVZ — not the best in the industry by most accounts, but fairly decent. One thing I didn’t quite like about VPSDime, however: their servers don’t come with any basic DDoS protection. If an attack is detected, they’ll automatically null route your IP address so that the invasion won’t spill over to other accounts on the server. However, it’s up to you to install the necessary security measures to protect your own websites. Furthermore, they don’t provide any automatic backups: they only do system backups for disaster recovery purposes, so they can’t restore your account from any backups on demand. Once again, the task of keeping your data safe is left in your hands — which makes them not as user-friendly as one would hope for. VPSDime offers a 99.9% uptime guarantee. Also note that all of their VPS plans are unmanaged, meaning you’ll need the necessary technical experience and expertise to utilize these virtual servers. 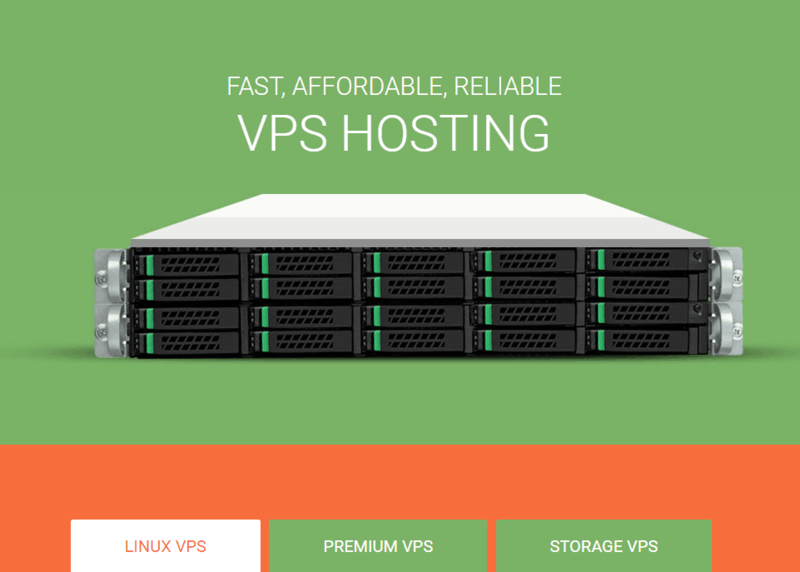 VPSDime offers primarily Linux-based VPS, with Windows VPS available from an affiliate company, Winity. Their regular Linux packages come in six different plans. All of them include 4 vCPU and a 10Gbps uplink while the storage, memory, and bandwidth can be altered according to your requirements. True to their mission, VPSDime has kept their VPS packages highly affordable, especially compared to leading competitors. They also have more premium VPS and storage VPS packages available; the former comes with anywhere from one to eight dedicated cores, while the latter affords you significantly more SSD storage space. VPSDime does have a knowledge base, but this doesn’t seem very well-developed: they don’t have many articles at the moment. It seems you’ll be expected to know how to do most things yourself — or find answers elsewhere. Alternatively, you can get in touch with them by creating a help ticket. They’ll do their best to maintain an average response time of fewer than 15 minutes. In my experience, this has been accurate. The FAQ section is also quite useful and focuses mainly on questions you may have before you sign up for their services. VPSDime’s services and their charges are quite clearly listed on the website, along with a FAQ section that should answer any queries you may have before you purchase a subscription. All you need to do is find the right package for yourself. Since they also offer custom packages, getting in touch with them with your exact needs might be the right way to move forward. Wondering how VPSDime stacks up against other Web Hosting companies? Enter any other Web Hosting company and we will give you a side-by-side comparison.